Incredible Value, Over $70,000 in Premium Improvements! Heavily pampered original owner home in popular Boston's Farm boasts main flr laundry, luxury master bath & 3,000+ generous finished sq ft w/wonderful finished LL. 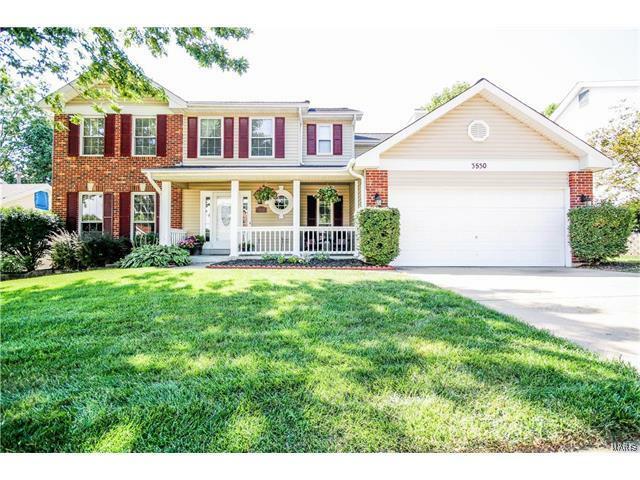 Walk out thru Pella French dr w/internal blinds/awning to manicured landscaping & amazing picturesque fenced back yard w/mature trees & inviting inlaid brick patio. Awesome kitchen w/white cabinets, Corian counters/striking tile backsplash, stainless appliances, breakfast bar, large pantry. Gorgeous wood flr, open flr plan, warm classic décor, fresh paint, neutral carpet, ceramic tile flr, 6-panel drs/baseboards, handsome flr-to-ceil brick woodbrng fireplace, 5-bay window, updated lighting. Impressive master suite w/jet tub, double sink, large window, walk-in closet. Finished LL w/rec rm, den, stylish wet bar, 4th bath. Newer roof, upgraded zoned HVAC/digital thermostat, updated thermal windows w/grids & more. Amazing Home... Perhaps Everything On Your Wish List! Old St. Charles Rd between Lindbergh & McKelvey to Bostons Farm Dr, left at bend, house on right. Close to major roads, hwys, shopping, restaurants, public transportation, medical facilities, 2,154 acre Creve Coeur Lake & great Bridgeton amenities!